Even though I was in Texas for almost two weeks, I only had a short day in Austin so my bites here were literally just that, a few bites here and there. We made a little detour on our way to Austin in the town of Lockhart in search of some good old fashion hill country BBQ. 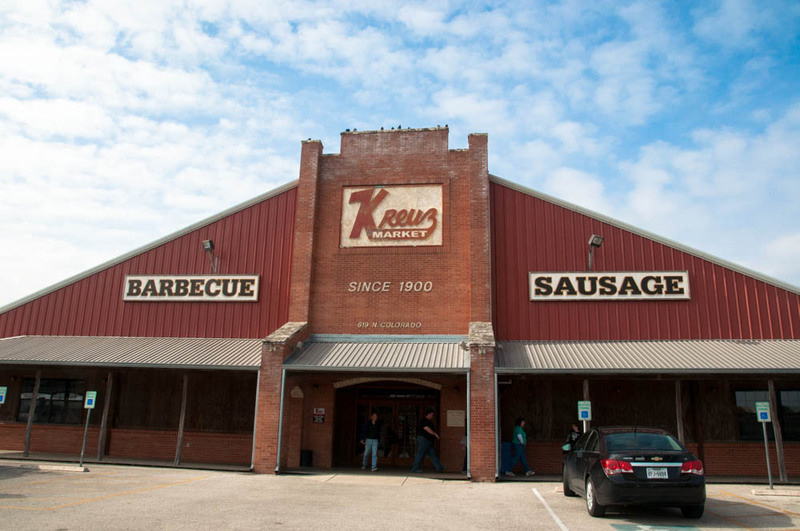 The first stop was Kreuz Market, a large shop on the edge of town known for its briskets and sausages. And when I say large, I mean large. 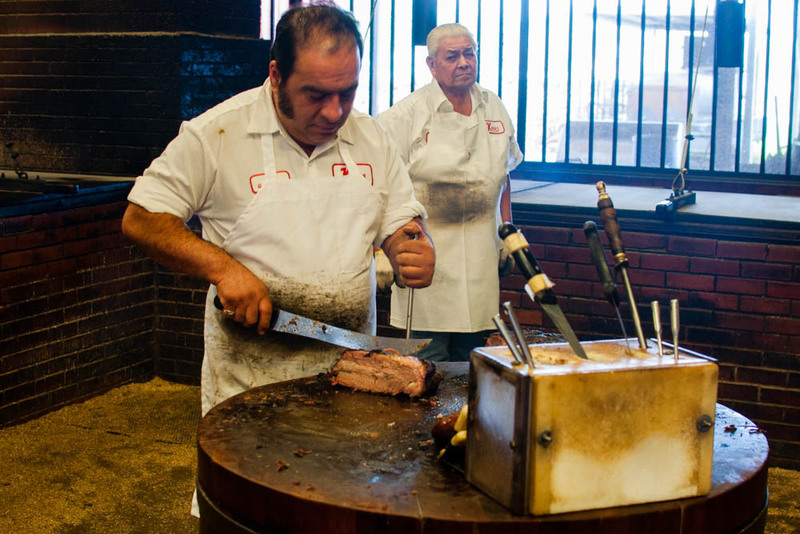 The first thing I noticed when I walked through the restaurant was the wafting scent of sweet smokiness that permeated every square foot of the space. And the second thing I noticed? This humorous sign that I am sure is taken with the utmost seriousness in this place. I wasn’t worried though. 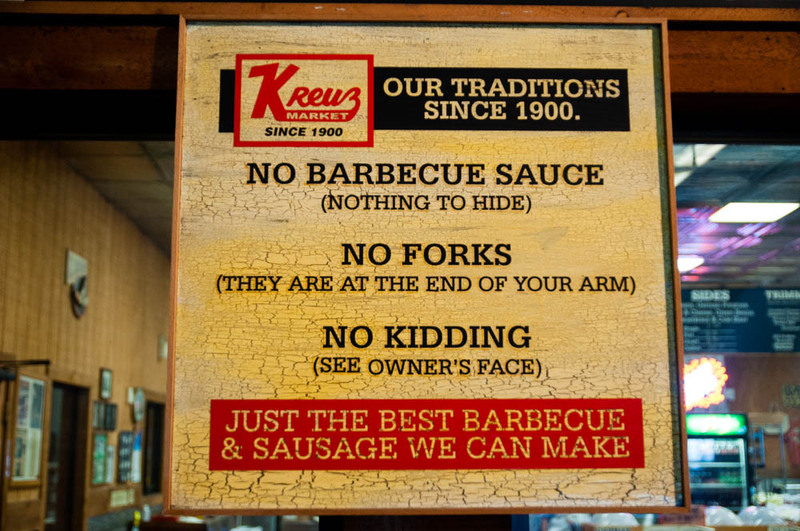 Luckily, I like people who take their food seriously and frankly have always preferred the no sauce BBQ. With that, I was ready to order and dig in. 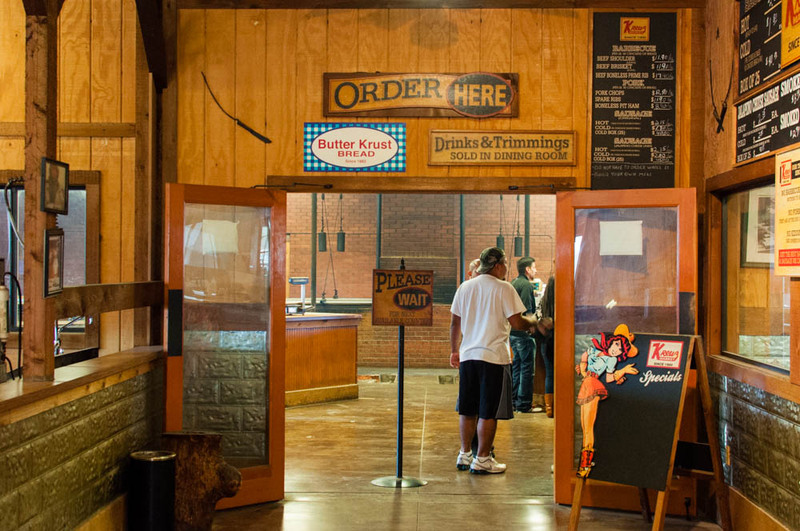 I had all these grandiose plans to sample a bite of BBQ at Kreuz and then move onto the other famous spots in Lockhart. 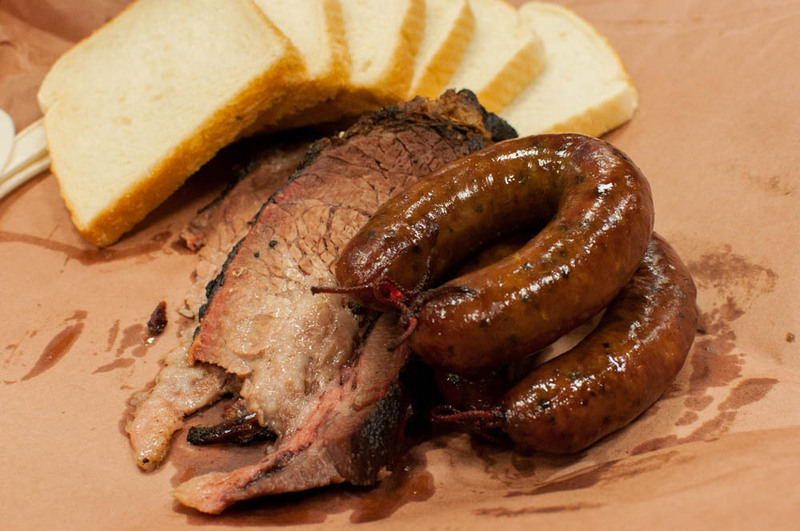 Unfortunately for me, the minute I stepped up to the ordering counter, my plans fell to the wayside as I was hit with another whiff of moist smokey brisket and my stomach took over the ordering process. This was how we ended up with way too much food for the three of us. 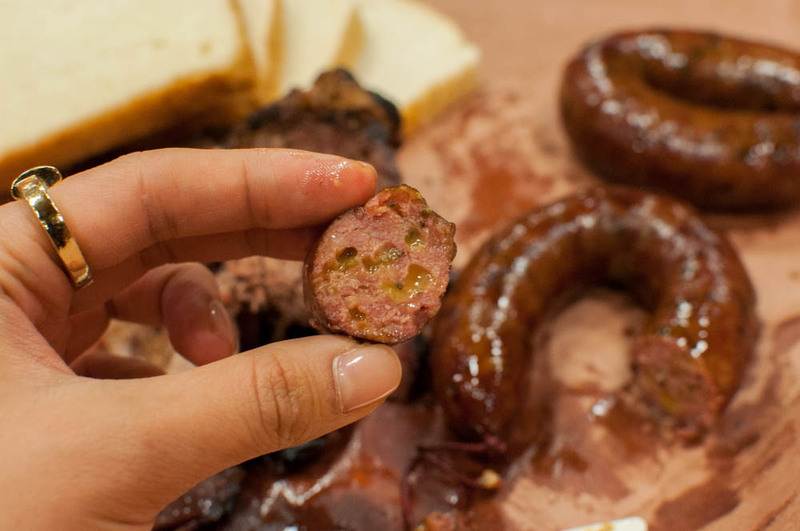 Even though I loved the moist smokey brisket, what really stood out for me were the jalapeno cheddar sausages. A beautiful snap of the casing revealed a juicy and flavorful filling studded with spicy jalapeno and melted cheese. As you can see, I had no problems digging in with my hands, the forks at the end of my arms. As you can see here, we didn’t leave enough room to move onto other BBQ spots in town and had to drove towards Austin with a twinge of regret. Luckily, after a few hours of sight-seeing in Austin, we were ready for a little snack to tide us over on the drive back to Houston. 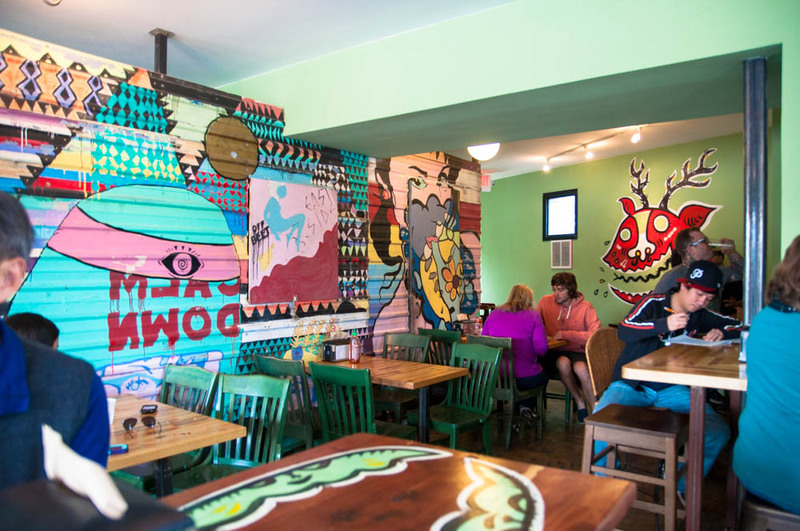 A bit of quick googling led us to the newest branch of East Side King, a road side Asian inspired casual spot from a Top Chef winner, Paul Qui. 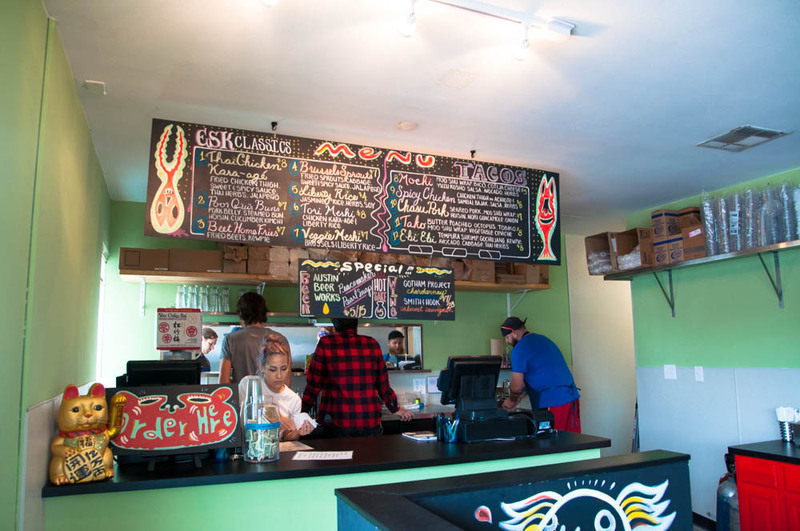 The menu here was made up of tacos and small plates, all so intriguing and delicious sounding. This time, I learned from our previous experience and exercised restraint when ordering. 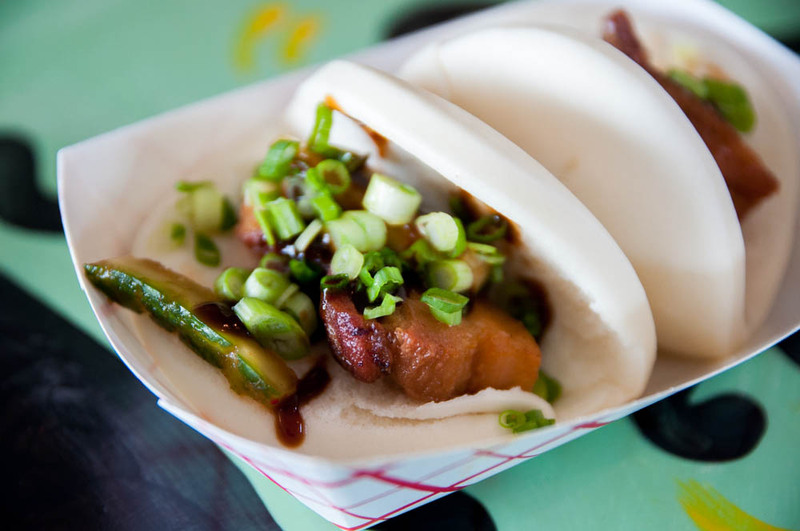 The first was the Poor Qui’s pork buns stuffed with roasted pork belly, hoisin sauce, cucumber kimchee and green onion. The pork was moist without being overly fatty and the piquant flavor of the sauce was tamed by the cooling cucumber and green onion. 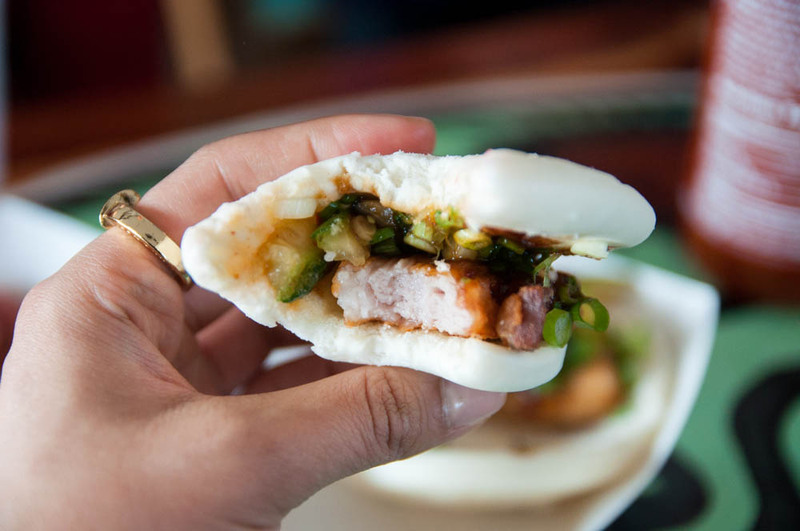 Even though pork buns are now so ubiquitous, they were so good that even my parents approved! To accompany the pork buns, I went with the beet home fries, something you definitely don’t find on every menu. 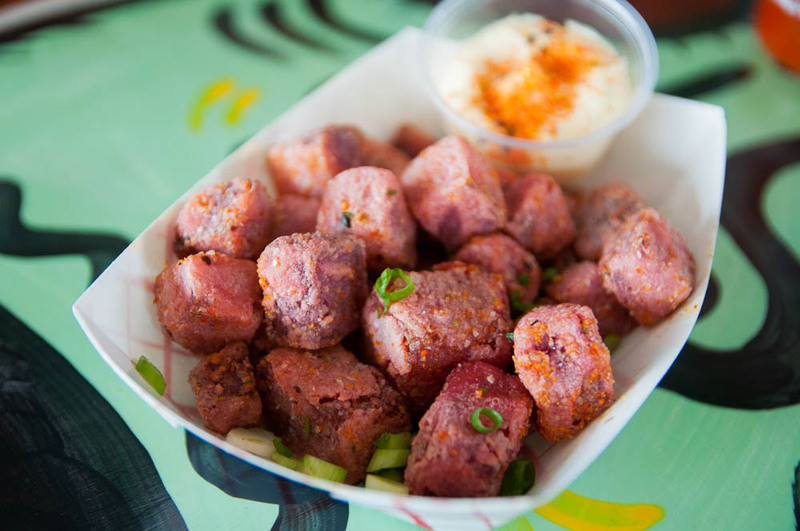 The deep-fried roasted beets were served with kewpie mayo, Shichimi togarashi, and green onion. The spicy togarashi dusted crust was slightly crunchy and the inside was sweet and tender. A swipe of the sweet mayo was a perfect accompaniment to the spicy beets. So there you have it, a few choice bites in Austin. I wish I had more time to spend so I could have tried more hill country BBQ spots and amore of the creative dishes that Paul Qui’s serving up at East Side King. Until next time Austin!